Censorship in America??? Chilling precedent? 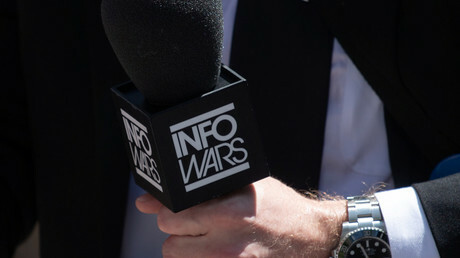 InfoWars block exposes Big Tech as no friend of free speech. Alex had been warning us of this for months, it is of no surprise, the only surprise is if we are going to take it! Simply put, these corporations appointed themselves arbiters of acceptable political thought, and censored Jones for failing to comply with arbitrary political standards set in Silicon Valley boardrooms, not at the ballot box. The First Amendment to the US Constitution says that Congress shall make no law “abridging the freedom of speech, or of the press.” There is no “hate speech” exemption, either. In fact, hate speech is not even a legal category in the US. However, a chorus of voices all too glad Jones was purged immediately chimed up to argue that Apple, Alphabet, Facebook and Spotify are private companies and this does not apply to them. 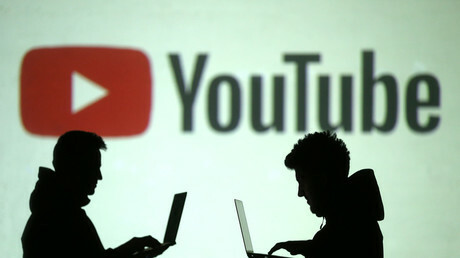 There is a wrinkle in that argument, though: civil rights outfits such as the ACLU have argued that social media amount to a “designated public forum” in cases where government officials tried to avail themselves of blocking, muting and other functions put forth by Big Tech as a way to police “toxicity” on their platforms. “When the government designates social media a public forum, the First Amendment prohibits it from limiting the discourse based on viewpoint,” the ACLU said in a brief submitted last year in a case before the Fourth Circuit Court of Appeals in Virginia. “When a government actor bans critics from speaking in a forum, it silences and chills dissent, warps the public conversation, and skews public perception,” the ACLU brief went on. In a separate but obviously related case, a federal judge used the “designated public forum” definition to demand that President Donald Trump allow critics access to his personal Twitter account – not the official @POTUS one – because he is a public official. However, if social media platforms are a “designated public forum” that government is not allowed to exclude people from on First Amendment grounds, how is it OK for corporations that operate these platforms to do so? Or is chilling dissent, warping conversation and skewing perception only bad when a government actor does it, thereby creating a legal system in which the what is irrelevant, and the only thing that matters is who/whom? There is something deeply cynical about people who until yesterday denounced discrimination and evil corporatism – and will do so again tomorrow – suddenly defending private property and freedom to discriminate against political viewpoints. That’s because this isn’t about principles, but about power. Liberals were once all for free speech, starting a movement by that name at Berkeley in the 1960s. Now that the media and academia overwhelmingly march in lockstep with the Democratic Party, however, they’re all about “no-platforming” opposing views and calling them “hate speech,” all in an effort to limit the range of permissible thought and expression in America. Then what’s the plan for outlets who still push ‘Russian collusion’ and promote violent ANTIFA protests/harassing Trump admin officials? This ideological conflict in American society actually goes back years, maybe even decades. However, the victory of Trump over Hillary Clinton in the 2016 US presidential election, even though most of the media and all of the Silicon Valley were #WithHer, flushed it out in the open. Democrats quickly latched onto a claim of “Russian meddling,” intended to delegitimize Trump’s presidency but also, as it turns out, create an excuse for corporate censorship. Consider the November 1, 2017 hearing before the Senate Intelligence Committee, where lawyers for Google, Facebook and Twitter were subjected to a barrage of demands to regulate their platforms against “Russians” – or else. “You have to be the ones to do something about it, or we will,” said Sen. Dianne Feinstein (D-California). She also pressed for the removal of RT from YouTube, only to have a Google representative say that despite looking very hard, the company hasn’t found any policy violations that would justify such a move. “I’m not really satisfied with that,” said Feinstein. Now, imagine how much more chilling this would be if Feinstein represented the ruling party, rather than the opposition. It isn’t that far-fetched: during the 2016 election, Facebook COO Sheryl Sandberg told Hillary Clinton’s campaign chairman John Podesta that she “badly” wanted Clinton to win, while Eric Schmidt, the executive chairman of Google’s parent company Alphabet, actually spent election night at Clinton HQ with a “staff” badge. More recently, this April actually, Twitter CEO Jack Dorsey described as a “great read” an article describing how Democrats should fight and win the “civil war” currently being waged in the US. This isn’t about how much one likes or dislikes Alex Jones or InfoWars. This is about corporations deciding for you what you should be allowed to hear, read, say or think – and the people normally criticizing such behavior cheering it on, because it suits their political agenda. Ask not for whom the censorship bell tolls; it tolls for thee. As many of us have suspected since the announcement of Jade Helm 15 and their desire to “Master the Human Domain”, there is a lot to Jade Helm 15 that is not being released. We know the “drill” is a “dissident extraction” exercise which many of us fear could go live at any time. A week ago, I received information that the United Nations, including Russian troops, were going to have a presence in the drill. Subsequently, I reported that the United Nations would have an “observer” in every unit in every part of the Jade Helm 15 drill. Common sense would dictate that Jade Helm 15 personnel do not need 60 days (July 15-September 15) to practice/complete extraction drills. Most researchers as well as my insider sources concur there is more to Jade Helm than the announced purpose. Although the drill is not scheduled to start in over 3 months, it actually began in Ft. Lauderdale with extraction of dissidents on March 27, 2015. Is there a phase two to the Jade Helm 15 drill? The short answer is “yes”. Jade Helm 15 will not likely stop with two phases and I know for a fact that this list of Jade Helm 15 applications will grow. Not surprisingly, the United Nations will be involved every step of the way. Now that I have been provided with a two phase operation from trusted insider sources, can these claims be supported by publicly known facts? On Friday March 27, 2015, I was interviewed by Nik Rajkovic, a news reporter for NewsRadio 740 KTRH in Houston. In the course of the interview, Rajkovic informed me that he had interviewed a Sheriff’s Deputy and was told that Jade Helm 15 was practicing “extractions of dissidents”. A review of the events in Ft. Lauderdale on March 27, 2015, clearly demonstrated that a dissident extraction drill was indeed being conducted. Did you ever think you would see this in America? This is an extraction of dissidents drill in Florida. The “dissidents” were then transported to waiting white vans for transport and then this was followed by removal of the drill’s participants to the now infamous black helicopters. Last summer reports, photos and videos began to surface regarding the entry of UN military equipment on American soil. The following represents some of the images of these reports dating back to June of 2014. This was taken six days ago on a Georgia highway. What are they doing here? State parties to the ATT “may seek assistance” in implementing the Treaty. The ATT indicates that a voluntary trust fund was established to promote the establishment of a multinational gun confiscation program. I have learned that JH 15 will also use its “Mutli-national” partners in the upcoming drill, thus enhancing the strong possibility that foreign troops will be used to seize American guns. Therefore, it is difficult to believe that gun confiscation is not on the list of activities for JH 15 and that my sources are correct. Job Description: A minimum of seven years of progressively responsible experience in disarmament, demobilisation and reintegration or related area. Experience working within peacekeeping, peace-building or development programmes operations is desirable. Experience with small arms control, conflict/post-conflict crisis management, economic recovery is desirable. Experience coordinating multiple partner agencies, funds or programmes is desirable. What is highly significant is that nobody seems to be talking about this illegitimate imposition of foreign troops on our soil and this notion is represented in the phrase “conflict/post conflict management“! What conflict/post conflict management? Conflict management is another euphemism reserved for one of two possibilities. First, this implies there will be a civil war, hence the reason for the Jade Helm 15 drills. With over 260+ senior military officers fired by Obama for not embracing the future need to fire on American citizens, speaks clearly to this point. Ask yourself, what would be the one thing that this administration could do that would guarantee a violent response from many of the people? That one thing would be to start seizing private guns. Foreign troops will be operating under the UN flag in the pursuit of this agenda. Obama is in the midst of purging the military leadership who will not necessarily and indiscriminately fire upon American citizens who would resist having their Second Amendment rights obliterated by this present administration. Secondly, in order to create the manufactured need to impose martial law, the administration would need a pretext, a false flag event. I have been covering the pretext possibilities for over a year. In fact, the pretext has been rehearsed repeatedly since last fall (see FEMA and DHS drills below). Peacekeeping is normally the euphemism reserved for gun confiscation and population subjugation. If there is any doubt to the veracity of this claim, the following phrase “Experience with small arms control“, should remove any doubt as to what is coming. Further this job description uses phrases such as “demobilization“. Further, the phrase “reintegration” is also significant. By definition, what is a re-education camp designed for? Quite simply put, it is designed for reintegration back into society with a more politically appropriate attitude. Back into society from where? This question can be answered with a pair of four letter words, FEMA Camp. It is clear that this administration is going after the guns and it will rely heavily on its “Mutli-national partners to accomplish this goal. Generally, this kind of bold move would require the implemetation of a false flag attack in order to minimize public resistance. In 2013, a plethora of potential false flag events were rehearsed by FEMA, DHS and their “foreign partners”. Gun confiscation is clearly part of what is meant by “Master the Human Domain”. 1. FEMA purchase orders for over $14.2 million for MREs and heater meals were delivered to Region III by October 1st, 2013. 2. FEMA purchase orders for 22 million pouches of emergency water were delivered to Region III by October 1st, 2013. 3. FEMA purchase orders for $13.6 million for MREs and heater meals were delivered to Austin, TX. by October 1st, 2013. 9. GridEx2 Nov. 13-14, 2013, which was a simulated EMP attack upon the American power grid. Both the Russians and the Chinese were allowed to participate. Let’s focus ofn#5. Why would foreign troops (i.e. UN Peacekeepers) practice urban warfare and be taught English unless they were part of a martial law occupation force? And what do martial law occupation forces do? They round up undesirable citizens, seize guns and relocate populations for final disposition. Buried within the myriad of these 2013 drills, it is easy to conclude that somewhere in this mess is a false flag drill designed to set into motion the implementation of martial law under the auspices of the United Nations. Jade Helm 15 is the manifestation of all this planning. 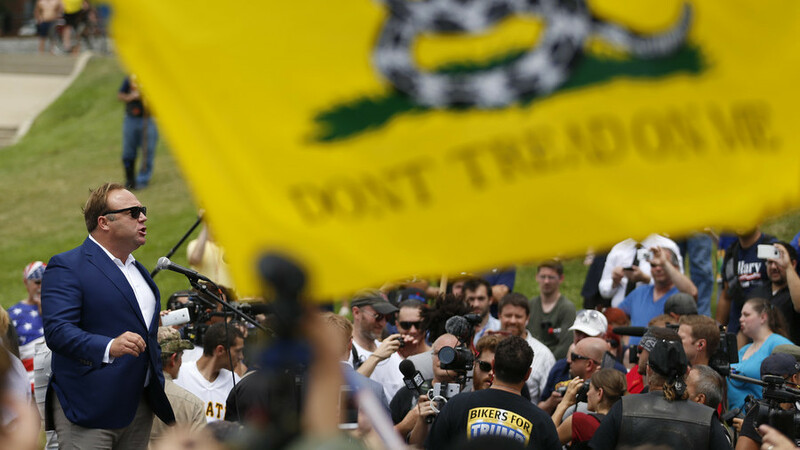 There are two phases emerging from Jade Helm 15. These two phases are bad enough. However, there are certain to be more as the nation enters into what could be a long, hot summer. The Federal Health Department has confirmed 18 Australians have now been diagnosed with hepatitis A as a result of eating contaminated frozen berries imported from China. There are seven people in New South Wales, seven in Queensland, three in Victoria and one in Western Australia with the infection. “Most people who contract hepatitis A will recover with rest and fluids, although it may cause severe illness in older people, those with chronic liver disease and those who are immunosuppressed,” the Health Department’s statement said. “Hepatitis A is spread via food and water, including ice, that is contaminated with faecal matter from infected people.” The Agriculture Department had identified 30 food importers, including Victoria-based Patties Foods, importing frozen berries from China. In Senate estimates hearings in Canberra on Monday, many senators were sceptical, with committee chairman and Liberal senator Bill Heffernan, Labor senator Doug Cameron and Greens senator Rachel Siewert all pressing departmental officials on how they could be sure food safety was any more certain at other Chinese berry processing facilities. “The problem I have, is that you would not have known there was a problem with the two factories except that there was a hepatitis outbreak,” Senator Cameron said. “So if we’d asked these questions of the department a week before the outbreak, you’d have been telling us that everything’s OK.” The department has placed a holding order on frozen berries from the two Chinese factories linked to the hepatitis A outbreak, until June. But the holding order does not apply to other Chinese frozen berries not linked to those factories, or to frozen berries from any other country. Greens senator Rachel Siewert asked why the department’s holding order should not apply to the other 29 berry importers which had not been directly linked to the current outbreak.